Great offers you won’t want to miss. We’re a full-service agency offering great pricing on Hawaii vacations and discounts on Hawaii vacation packages. We can help you save on your upcoming travel to Hawaii. We’ll do this by offering great discount packages with airfare, car rental, hotel, activities, attractions and tours. For more than 40 years, Panda Travel ® has provided customers with unforgettable Hawaii vacations. Moreover, we do it with some of the lowest prices on air fares and packages possible. We can help you search for a Hawaii trip, a trip from Hawaii or travel between the Hawaiian Islands. Our friendly and experienced staff can customize the vacation of your dreams. You can also book your Hawaii vacation packages by using the search and book tool on our website. Furthermore, you can contact our knowledgeable agents about your Hawaii travel plans and Hawaiian vacation options. We’re one of largest and oldest of all Hawaii travel agencies. As a result, we can accommodate any size group, travel need or budget. We offer luxury resorts on the Big Island, family friendly hotels on Oahu, honeymoon condos on Maui and much more. And you can complement your Hawaii travel itinerary with our wide range of activities on all the Hawaiian Islands. It is our pleasure to offer you a wide range of choices for your ideal Hawaii vacation. 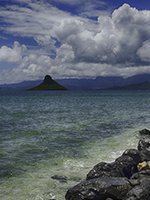 In addition to our great Hawaii vacation packages, our website offers in-depth descriptions of each island. Panda Travel® is a trusted kama’aina (local) company. It has a long history of serving the traveling public for over 40 years. Plus, local newspapers have consistently recognized us as one of best travel agencies in Hawaii. While at the same time, the Better Business Bureau has been rating us as a longstanding A+ company. Hawaii vacations from Panda Travel ® with air and hotel start as low as $606 per person, double occupancy. 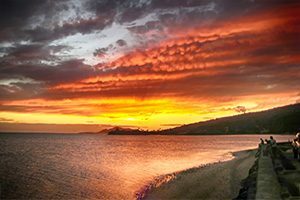 * As a Hawaii travel agency, we are intimately familiar with the islands, its people as well as the travel options available to travelers. We help our customers enjoy Hawaii like a local. 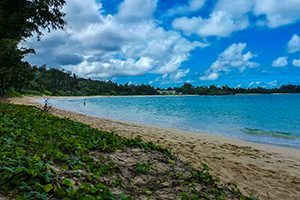 Whether you are looking for budget Hawaii vacation packages or would like to travel in luxury, we can create the most memorable Hawaii vacation for you and your family. Our flights to Hawaii from the mainland start as low as $361 roundtrip. 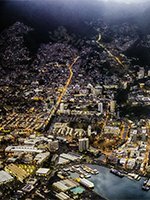 * One of the keys to planning a successful trip to Hawaii is finding the best flights. With decades of experience working with major airlines, Panda Travel ® can help you find the most appropriate flight booking options for you. 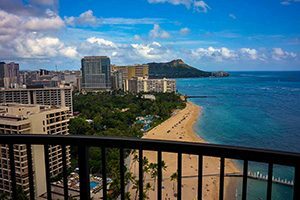 Whether you need a roundtrip flight to Hawaii from the mainland or want customized island-hopper packages with interisland flights, hotel and car, we can help you find the best deals. 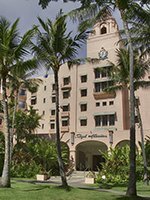 Maui or another island, Panda Travel ® can suggest an ideal list of hotels to choose from. Don’t leave the most important part of your Hawaii vacation plans up to chance. Our escorted tour packages start as low as $1,695 per person, double occupancy. 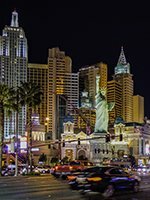 * Tours from Panda Travel ® range from packages for sports fans, Disneyland lovers, Las Vegas gamblers and for those wanting to visit Asia. Our expertise is not limited to just Hawaii. Whether it’s a tour of Japan or a Disney vacation, Panda Travel ® has the experience to make planned vacations or spur-of-the-moment trips a snap. Check out our current travel specials on upcoming tours.